With the start of a new year, I began reflecting on the projects that I have created recently. 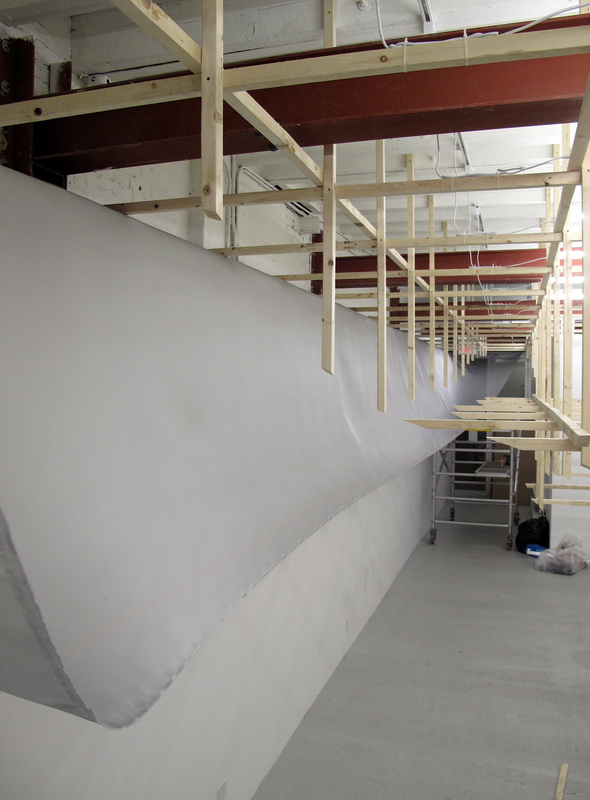 The impetus for the large-scale works completed in Grand Rapids, Tucson, Beijing, and Miami was Allotropisms, a 65-foot site-specific sculpture suspended from the ceiling of the Cristin Tierney Gallery at 546 West 29th Street in New York City. That show opened three years ago today. To celebrate this landmark in my career, I am sharing never-before-seen photographs of the installation. Thanks to everyone who has helped me along the way and cheers to a new year full of new challenges! My dear friend and talented photographer, Rainer Hosch recently wrote a piece for Installation Magazine that features photographs of artists that he has taken over the years. 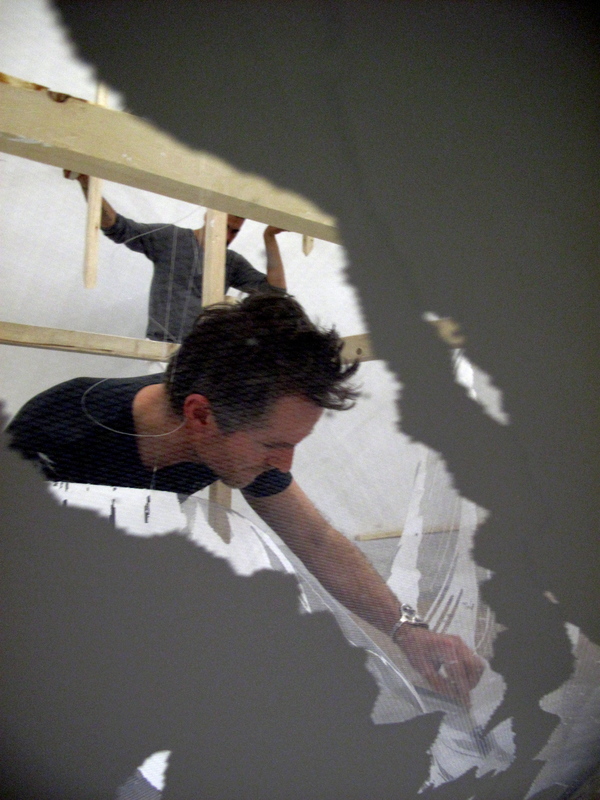 I was lucky enough to be one of the artists included in the piece along with the amazing picture of me inside my 2011 site-specific installation, Allotropisms. 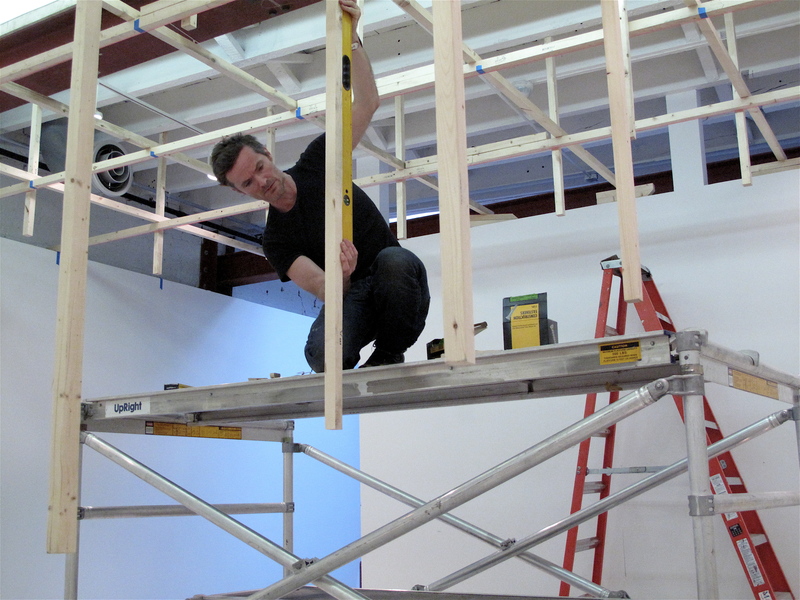 This image of Alois Kronschlaeger was taken during the construction of his large-scale installation called Allotropisms and first solo exhibition at Cristin Tierney Gallery, New York. I hung out with Alois, who is a good friend of mine, while he was putting this piece together. 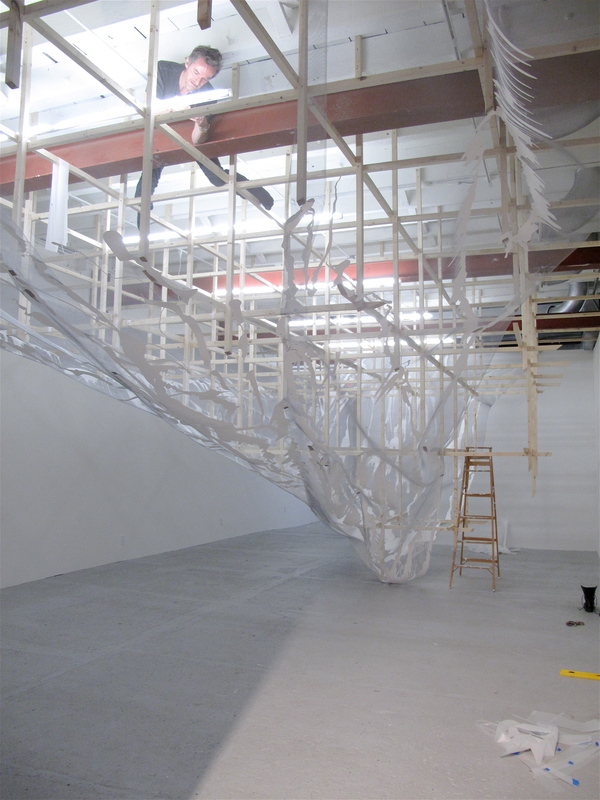 This particular evening, the construction was finally finished and it was time pour the white colored paint over the mesh. We witnessed the magic of a long-planned project coming together, one pour at a time. 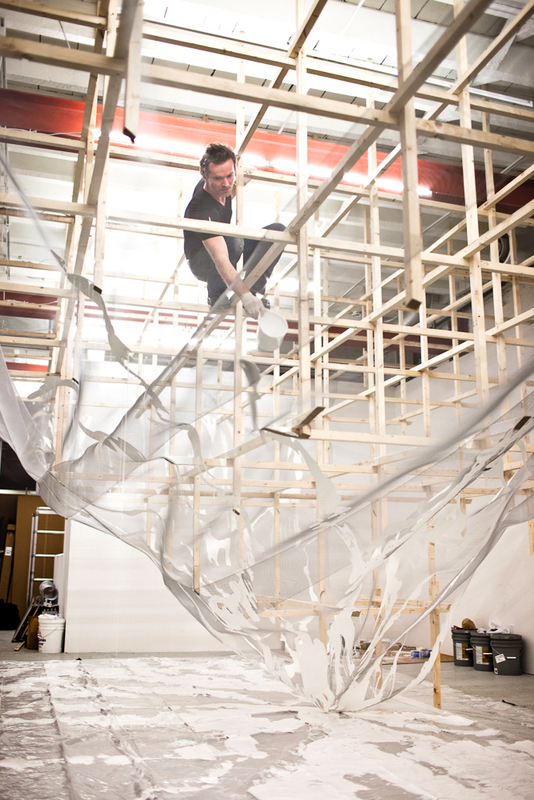 Alois was in a trance, climbing and pouring and losing himself in his artwork. I was one happy man with the camera. Allotropisms, 2011. Photo by Rainer Hosch.